A 22-year-old Sterling man has been charged with murder in the death of a 17-year-old girl following an early morning roadside assault on Sunday. The case, being investigated by the Fairfax County Police Department, began at 4 a.m. June 18 when the Reston teen was reported missing. Investigators determined that she was walking with friends near Dranesville Road and Woodson Road in the Herndon area when they got into a dispute with a man in a car. Investigators say the suspect, Darwin A. Martinez Torres, got out of his car and assaulted the victim, perhaps with a baseball bat, and abducted her. Her friends returned to the nearby ADAMS Center mosque where they were participating in qiyam al-layl overnight prayers and police were called. Fairfax County Police, Loudoun County Sheriff’s Office, K-9 teams and search and rescue crews,with a helicopter, searched the area for the missing teen. According to Fairfax County police, an officer saw a car driving suspiciously in the area and stopped it. The driver, Torres, was taken into custody as a suspect. At about 3 p.m. a girl’s body, believed to be the missing teen, was found in a pond on Ridgetop Circle in Sterling. The Office of The Chief Medical Examiner will conduct an autopsy to confirm the identity and determine the cause of death. 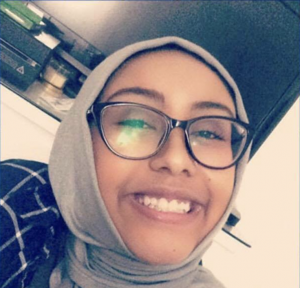 The victim has been identified as Nabra Hassanen, a sophomore at South Lakes High School in Fairfax. On the Fairfax County Police Twitter feed Monday morning, the department stated the killing was not being investigated as a hate crime. During a press conference Monday night, the department described the initial altercation as a road rage case. They said Hassanen was walking with a group of a dozen teens returning to the mosque after eating at a nearby McDonalds. The practice was not unusual before the Ramadan fast continued at sunrise. A red car came up on the group from behind at 3:40 a.m. The driver, Martinez Torres, got into an argument with a youth on a bike and then drove onto the curb and sidewalk. The teens ran away. Investigators said Martinez Torres found the group again later and chased them with a baseball bat. Hassanen was stuck and he put her in his car. It appears Hassanen was assaulted a second time near Martinez Torres’ apartment complex, near the pond were her body was found. The medical examiner ruled Monday that she died from blunt-force trauma to the head and neck. The ADAMS Center released a statement about that case. 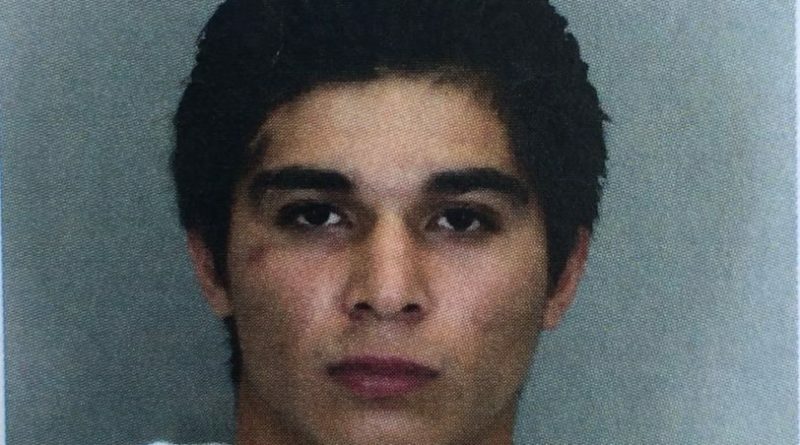 “We thank both Fairfax County Police and Loudoun County Sheriff’s departments for their diligent efforts in investigating and apprehending a suspect. We call on law enforcement to investigate and determine the motive of this crime and prosecute to the full extent of the law. “We are devastated and heartbroken as our community undergoes and processes this traumatic event. It is a time for us to come together to pray and care for our youth. ADAMS has licensed counselors on site to assist anyone in need of counseling during these difficult times. While little is known about the details or motives of the deadly assault, the tragedy brought quick social media responses from a broad base of political leaders, many of whom meet frequently with ADAMS’ leaders and worshipers. “Our hearts are heavy with grief. I stand with the ADAMS Community. Loudoun, please hold her family close to our hearts. Loudoun, she was us,” Loudoun County Chairwoman Phyllis Randall posted on Facebook. “The ADAMS Center has always welcomed me and so many in Northern Virginia like family. This unspeakable attack feels like an assault on our entire community. Words fail at a time like this, so we’ll all have to do the best we can to surround them with the love and support they’ve always shown each of us,” Attorney General Mark Herring said in a statement. “I was sicken[ed] to learn about this chilling crime. My prayers are with the family. @ADAMSCenter_ the Sterling Community is grieving with you,” Sterling District Supervisor Koran Saines tweeted. Both nominees for governor commented. “Ramadan should be a season of peace. Instead, we mourn alongside our Muslim neighbors. This is a tragedy,” Democrat Ralph Northam stated. “Praying for family of victim of heinous murder in Sterling, and the entire ADAMS Center community,” Republican Ed Gillespie said. This is a developing story. More will be reported as it’s learned.